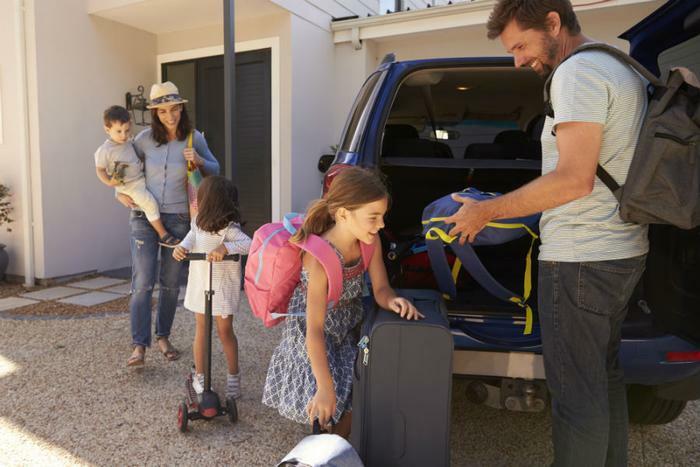 The National Highway Traffic Safety Administration (NHTSA) is cautioning all consumers who plan to hit the road this summer to follow a few routine safety procedures before and during their travels to ensure a safe trip. Prior to departing, the agency says to make sure your car is prepared to handle the journey. Make sure that any maintenance tasks your car may need -- such as a tune-up, oil change, battery check, or tire rotation -- are taken care of before leaving. Doing so can ensure your car is ready to handle high temperatures. Additionally, check for vehicle recalls if you haven’t done so in a while. The NHTSA recommends doing this at least twice a year -- in spring and fall, when daylight savings time begins and ends. Make sure all passengers agree to wear their seat belt every time they ride in your vehicle. If children will be riding in your vehicle, make sure car seats and booster seats are properly installed and that children are in a size-appropriate seat. Children under the age of 13 should always ride in the back seat for safety. To prevent a heat stroke tragedy, never leave children alone in the car -- not even for a few minutes or with the engine running. Keep your child from gaining unsupervised access to your parked vehicle by locking it when exiting. “Vehicles heat up quickly; if the outside temperature is in the low 80s°, the temperature inside the vehicle can reach deadly levels in just a few minutes—even with a window rolled down. A child’s body temperature rises three to five times faster than that of an adult,” the NHTSA says. Stay alert. Driving drowsy is dangerous, so be sure to plan stops along the way for a stretch or to refresh and wake up. Consider staying overnight at a hotel or family resort to recharge during longer drives. Share the road. Keep an eye out for motorcyclists, bicyclists, and pedestrians. They’re more likely to be out during warm weather. Put a safe distance (3 or 4 seconds’ worth) between you and motorcyclists and be mindful of pedestrians or bicyclists. Don’t text or talk on a cell phone. Designate a passenger to respond to texts or calls, and to help you navigate the road. “No loss of life -- neither your passengers nor any other road users -- are worth a phone call or text,” the NHTSA said. Slow down. Obey all posted speed limits and drive slower if necessary based on weather or traffic conditions.